National Theatre Live has revealed the plays it will broadcast in venues around the world this Spring and the offerings are tantalizing. It includes the first (of I hope many) Broadway productions — “Of Mice and Men” with James Franco and Chris O’Dowd — and, this fall, Benedict Cumberbatch as Hamlet. 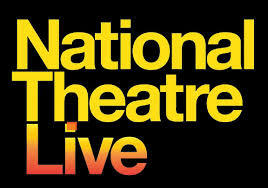 National Theatre Live brings its London shows to big screen across the United States. Now Broadway will be doing the same thing — in China. Broadway Worldwide Entertainment Media, which most recently screened the Tony-winning musical “Memphis” in movie theaters, is teaming with China’s Sun New Light Culture Development to produce and distribute two to four musicals a year filmed live in HD, Lorne Manly reports in today’s NYTimes. Apparently many more digital screens have been built recently to better serve all those dancing feet. Click here for the complete story. Last night I took my two 20+ kids to see the NTL 90-minute, non-stop production of “Medea,” and they both enjoyed it. 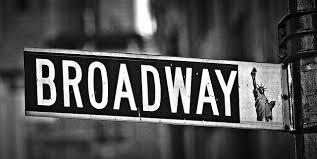 Airing Broadway shows around the U.S. more often seems like a good deal to me. Unlike NY Times critics, a trip to London to see shows is not in my budget. aired in locations around the world. It might be better than a front row seat at the Cottesloe Theatre as cameras film from all angles on stage with close-ups. 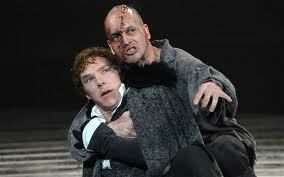 You could see the sweat on Benedict Cumberbatch’s brow and the pores on Johnny Lee Miller’s face during “Frankenstein.” Performances also include interviews and backstage tours of the costume or make-up rooms. Coming up: “Medea,” starting Sept. 4, “A Streetcar Named Desire” starting Sept. 16, David Hare’s “Skylight” in October. Find a theater near you, I hope. Visit the National’s website. at the Monmouth University venue in West Long Branch, NJ. Surprised to see it coming to Broadway as it’s about the various prime ministers Queen Elizabeth has dealt with during her more than 60+ year reign. I’d think most American audiences would be hard pressed to name half of the 12 PMs with whom she has audiences during the play. And some knowledge of 20th century British history would be helpful. 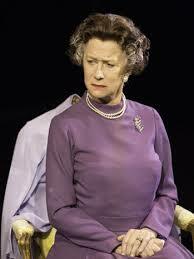 But, heck, Mirren on stage in America is always a good thing. It’s not my money producing it. Scheduled from Feb. 17 through June 28.